Did you write “Pour Some Sugar On Me” or perhaps a similarly iconic rock hit that has dominated radio rotation for several decades? If the answer is no, then you should probably think twice before following the career advice of those who did. “The way the band works is quite extraordinary. In recent years, we’ve been really fortunate that we’ve seen this new surge in our popularity. For the most part, that’s fueled by younger people coming to the shows. Introduced to the group through parents, siblings, and/or extended family, aka, someone who has been following the band for years. Radio. Yes, people still discover bands through radio, and “Pour Some Sugar On Me” (along with numerous other hits by the band) remains in heavy rotation to this day. Licensing. Again, numerous songs from the band’s catalog have been used in movies, television shows, commercials, and, perhaps most importantly, video games. Streaming. Be it YouTube, Spotify, Pandora, or any one of the countless other platforms offering free, legal streams has no doubt played a role in helping people discover/appreciate the catalogs of classic rock bands. There is another factor influencing Campbell’s position as well, and it’s one that is not mentioned at length this piece. Def Leppard has famously spent years feeling as though they were unfairly compensated by their label for album sales/streams. So bad was the relationship with Universal Music, apparently, that re-recording all of that music was the better option compared with having to deal with the label. By encouraging, or at least appearing to be okay with piracy, Campbell can take another shot at the corporation(s) he believes has taken from him in the past. There is an incentive for him to back piracy, albeit a petty one. Before legal music streaming became ubiquitous, there was some argument to be made for how piracy helped carry certain artists further than traditional marketing efforts. However, in the age of streaming, that is not necessarily true. Now, anyone that finds a song they enjoy can (usually) make it available to use offline/anywhere they go for no cost other than a small monthly subscription fee that is cheaper than most albums were even a decade ago. Playlists have replaced radio and mixtapes as the way to get noticed, and any artists who knows what they’re doing understands making your music available everywhere on legal platforms is the only way to get on those lists. Will there always be those who download music illegally? Sure. Will they always be willing to take the extra step and financially support the artists whose music they steal even though they love said talent? Maybe. Hoping people stealing your music will make you famous or successful in 2017 is like always agreeing to work for free because you believe that is the only way to long-term, paid work. Piracy causes more harm than it does good nine times out of 10. You can gamble on your music being the exception to the rule, but that’s not a bet I would advise. Do you agree with Campbell? Has piracy ever helped your career? Let us know in the comments! 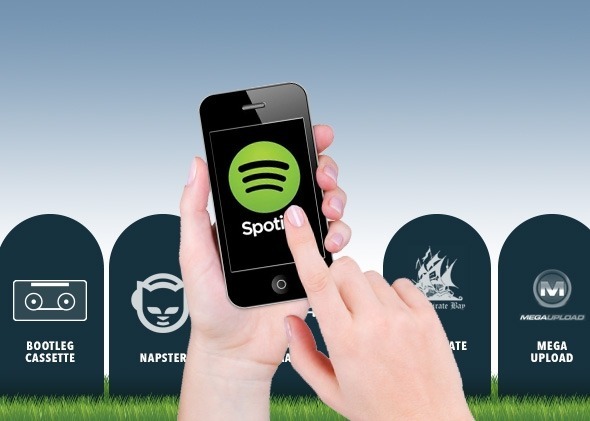 Next up: Just How Prevalent is Music Piracy in the Age of Streaming?